The first mention of an organ in Tavistock Parish Church was in 1538. 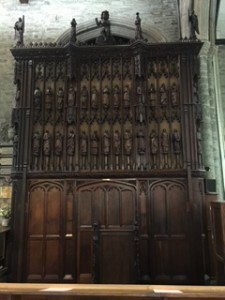 It is possible that this instrument was purchased from the Abbey at the time of its dissolution. 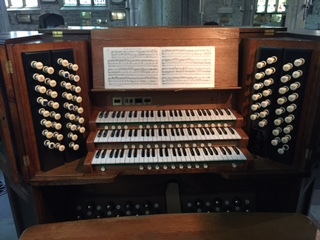 There is mention of a barrel organ in the Gallery in 1790 and that this instrument was replaced by a wind organ in 1802 and again in 1825. The West End gallery was demolished in 1840 and a new organ was installed in the North Aisle in 1845/6 by Joseph Walker of London. The opening recital was given by S S Wesley on 25th June 1846. 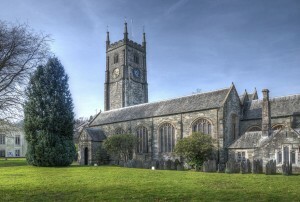 The casework was provided by Edward Trundle of Tavistock in 1846. The organ was enlarged by J W Walker in 1879 and again in 1891. 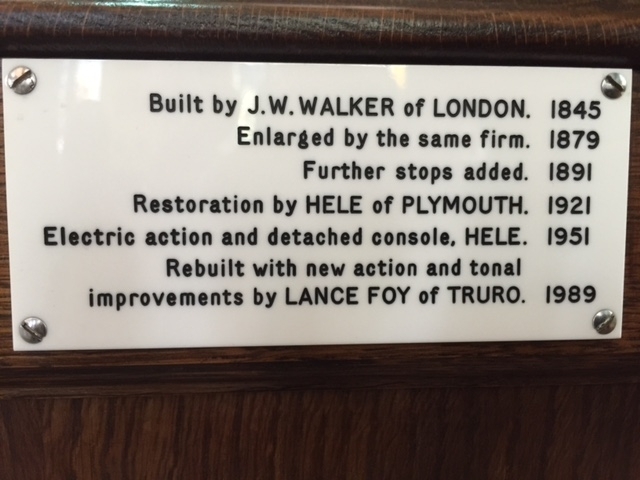 Hele of Plymouth took over the care of the instrument in 1921, providing a detached console in 1951. 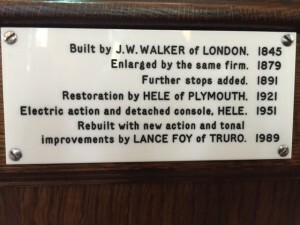 Lance Foy of Truro rebuilt the action and made tonal improvements in 1989 and there was further refurbishment in 2005. There are plans to continue improvement works to chests and actions and to provide a new mobile console.